do roots need to be growing downward? Discussion in 'Everything Else Orchid' started by Shawn Wilson, Oct 27, 2018. I've repotted this orchid and it looks really healthy with lots of new roots but as you can see from the attached image, many roots are growing up, not down or even sideways. Is this ok? The roots look great. They are going to go where they want. I would just let them do what they want. 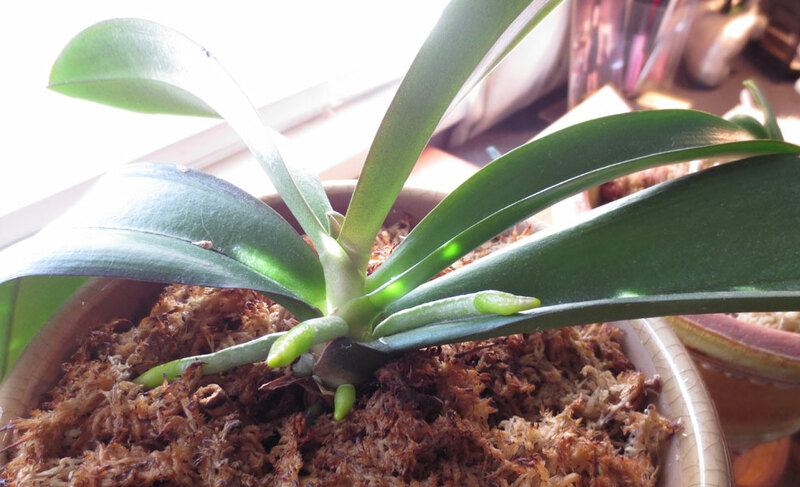 Phalaenopsis have a relatively massive "body" growing on top of a small base. Roots growing from higher in the plant will act as "guy wires" to give the plant mechanical stability.